Links Day at the Georgia Capitol 2013 took place on March 26 with members of The Links, Incorporated from 15 Georgia chapters located in Albany, Athens, Atlanta, Augusta, Fort Valley, LaGrange, Macon and Savannah attending this full day of activities. 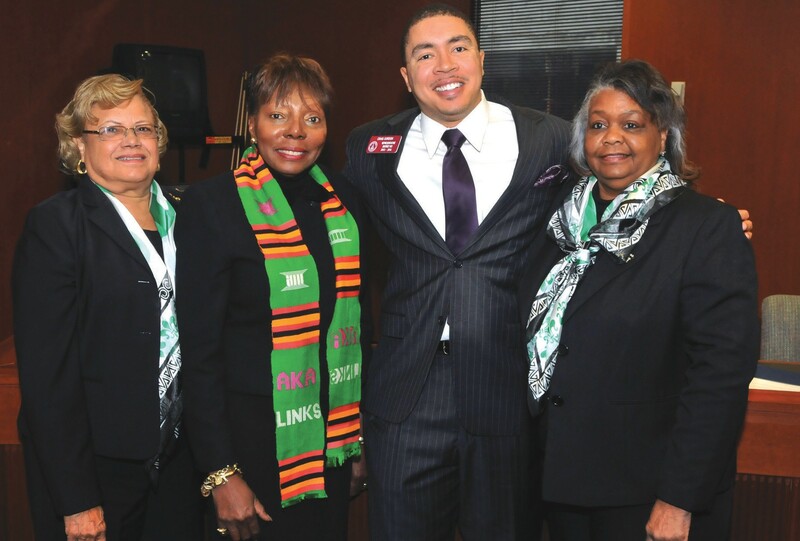 Georgia Legislators who are members of The Links, Incorporated — Senator Freddie Powell Sims (Albany) and Representative Carolyn Hugley (Columbus) – also served as honorary chairs of the event and welcomed the group of 100 plus women to the Georgia Capitol. In addition to those Georgia Legislators who were on the program, other legislators who met with members of The Links, Incorporated during their visit included Representatives Dee Dawkins-Haigler, (Chair of the Black Caucus), Calvin Smyre (“Dean” of the Legislators), Craig Gordon (Savannah), Quincy Murphy (Augusta), LaDawn Jones (South Fulton County), Ernest Smith (Augusta), and others.